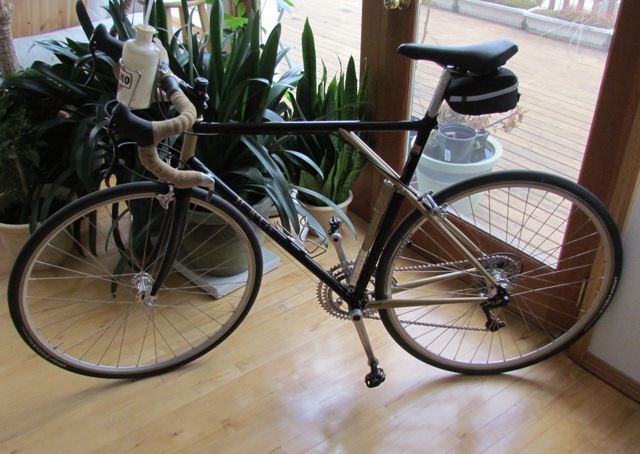 She is done, very nice ride, excellent stiffness of the bottom bracket, real nice squirt up off the saddle, excellent top tube tracking (hands off). 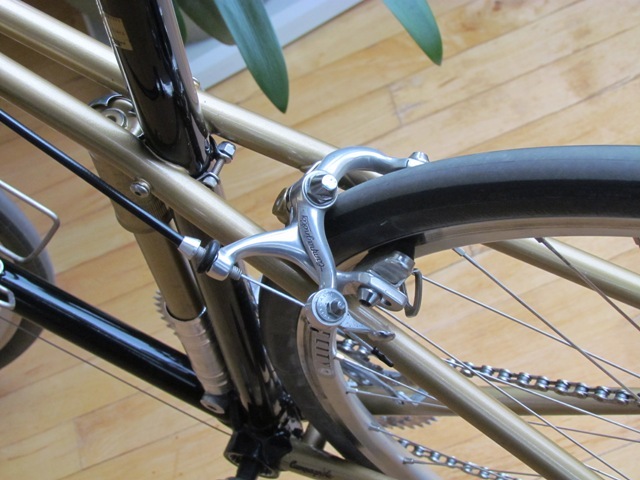 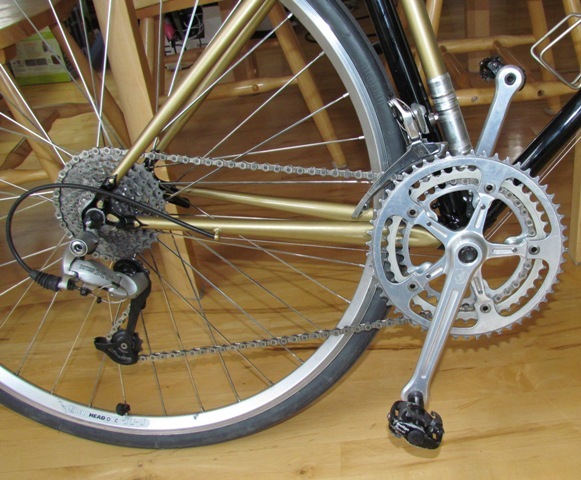 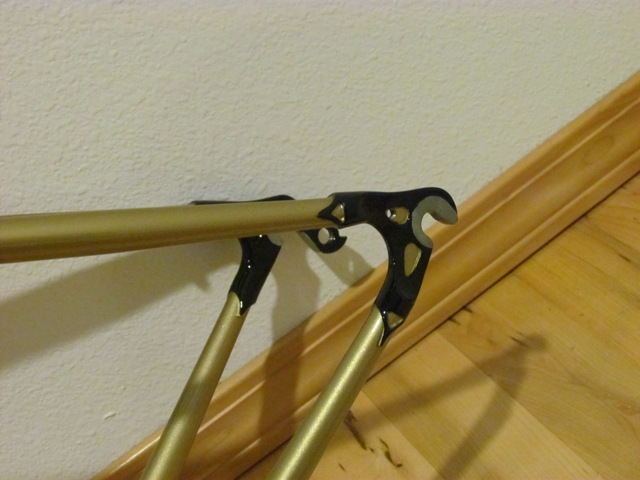 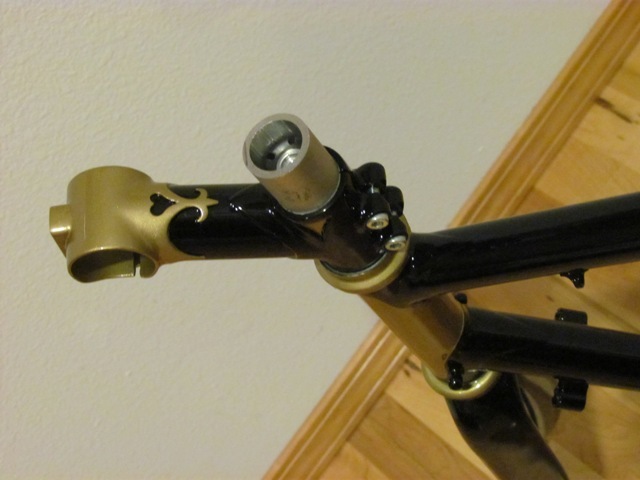 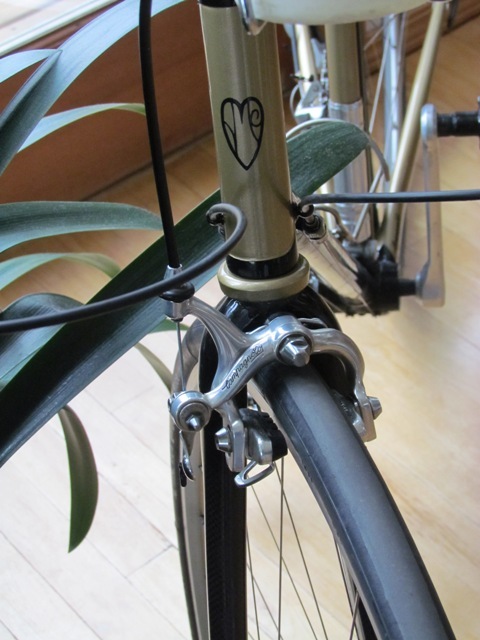 Composite forks are great – took the hum out of the bars. 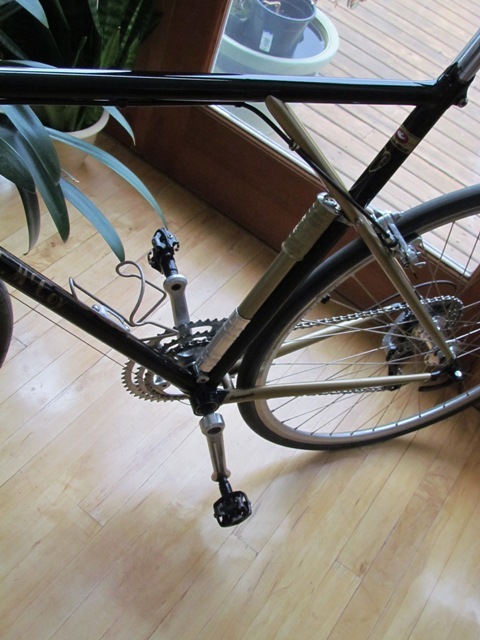 The long cranks coupled with the 38 tooth inner I added (thanks Rich Williams for the Campi cranks) really make climbing hills easy. 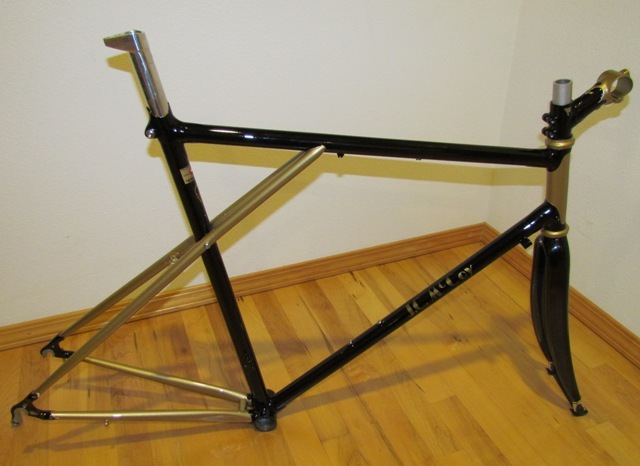 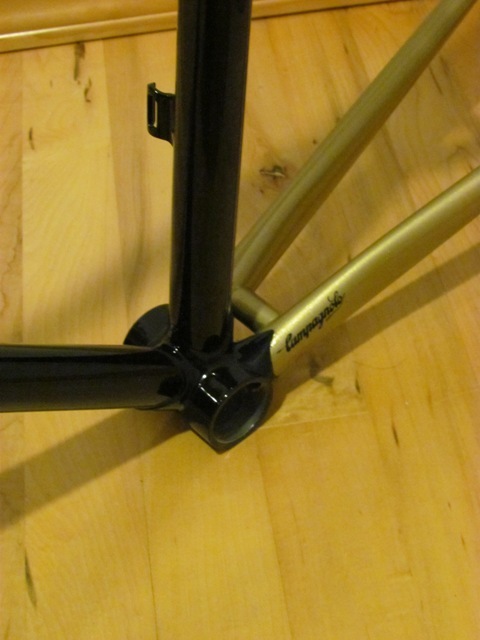 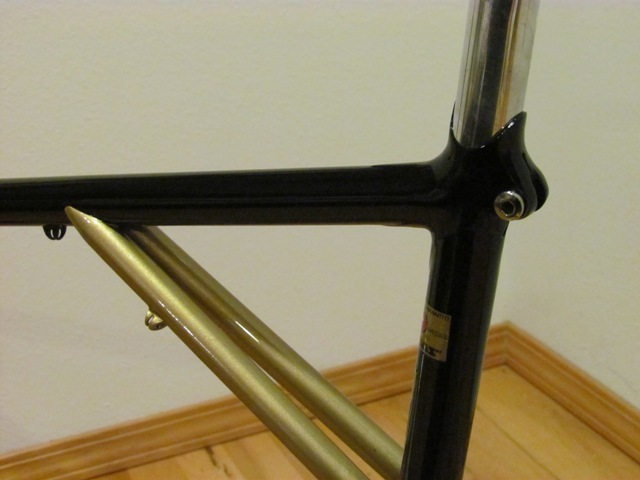 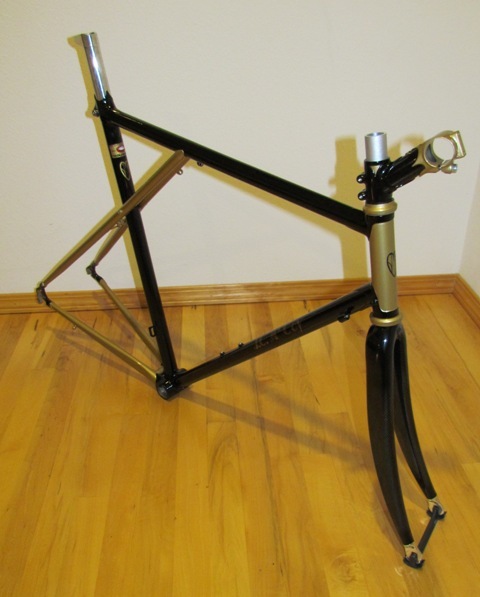 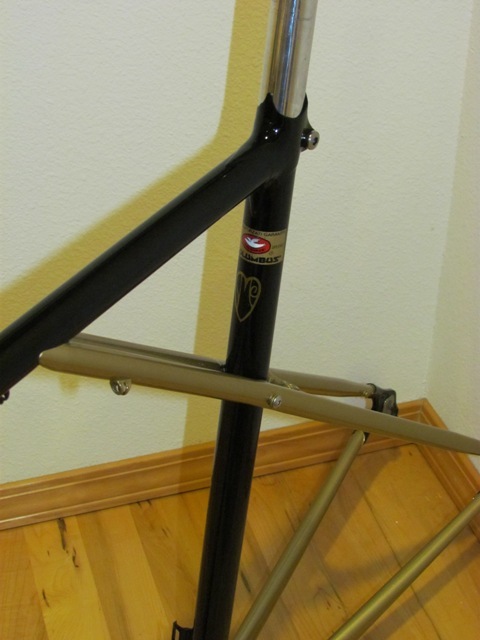 We accept order for this bicycle frame. 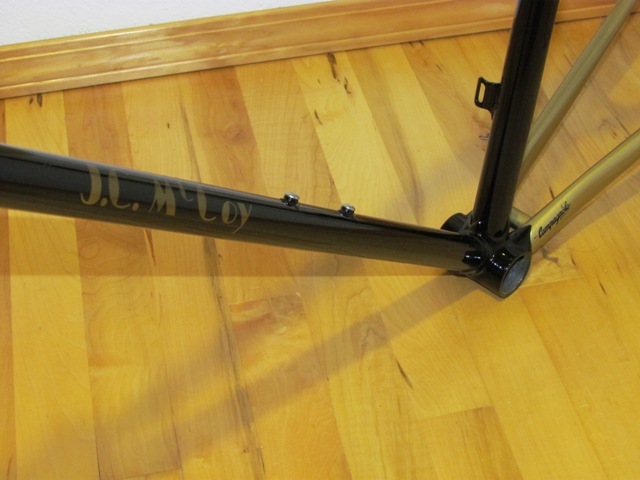 We can even customize color/logo for you!